Today, there is a huge competition and war for best talent in the business platform and your employer needs to attract the best leaders to run your business smoothly. It is significant to attract the best talent because employees are the asset of the company and key to success of your business. Without them, you will struggle to achieve your business goals or objectives. The talent won’t directly come to you; you have to distinguish yourself in the job market.For companies looking to land their star leader, it is crucial to have a hiring strategy in place. An effective way to lessen the extra burden of the in-house HR Team and distinguish your business in the competitive job market is to connect with best Leadership Hiring Companies. ·Tailored Job Search- Recruitment Agency can help customize your Job search. The odds of searching senior level staff through a job search engines are pretty common. However, Recruitment specialists know exactly where the most experienced and skilled executive level candidates are hiding and they also know what it takes to convince them. With their support, the hunt for most experienced and proficient candidates can be done quickly and easily—with great outcomes. ·Reduces the possibility of a Bad Hire- Making a bad hire for the Company can be costly. Hiring a new recruit takes precious time, cost, and resources. If the new senior leader is successful in their position, these costs are considered investments. But if the recruitment turns bad, you have just lost your business morale and employer brand.When working with recruitment companies, they will find someone who suits the role and fits in perfectly with your company philosophy and values, far reducing your risk of a bad hire. ·Expert Recruiters-Have the Right Knowledge- Even if you consider yourself to well-experienced and lucky in the recruitment field, chances are you don’t always have the right knowledge to make an informed hire. 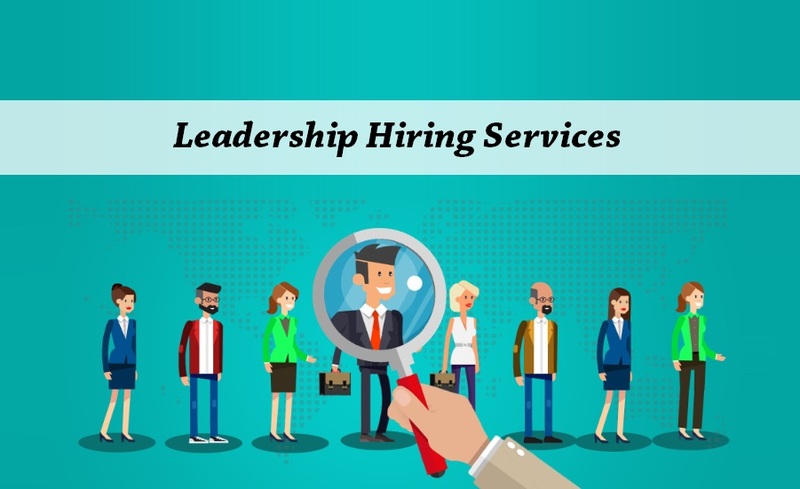 The positions at your organization can be extremely diverse, and without competitive intelligence, you may not know enough about the Job market to fairly judge anapplicant.Recruitment specialists of Leadership Hiring Companies can fill the gaps in your knowledge. From their up-to-date expertise to their experience in technology, sales, administration—recruiters know how to contact the best talent, what offers to make, and how to recruit them into your team. ·Improve your Brand presence- Your Company’s brand presence matters when it comes to hiring. If you aren’t projecting the right brand image, candidates won’t be attracted to yourvacantjob posts and you’ll be left struggling to find the best talent.C-level hiring firms build high-trust relationships with their candidates, so that they will feel confident about their placement. Recruits will recognize your organization as a great place to work, and your brand image will be boosted in return. ·Time Saved- In any business, time is precious and a hiring firm is a time saver. An agency saves your time as they take care of all the steps of the hiring process. Finding the potential applicants to interview will take a great amount of time and effort. Outsourcing this responsibility to a senior level hiring agency with a reliable record of successful recruitment will save you time. Overall, such recruitment firms can effectively reduce the stress of recruiting potential leaders. This way, you can spend less time focusing on hiring and more time on core business functions.